This Friday, July 24th, soul and funk band Gasp’n gus perform at the Live Lounge with support from Jerseybob and DJ Rosbif. The show starts at ten. Their CD, For Our Country, recorded in August 2008 at Druide Studios, Ploubalay, France, with production by Jeff The Druid, is a terrific set of songs. In the manner of all good pop records, each element and instrument in the mix is clearly represented in spacious arrangements while adding up to a series of performances by a band of friends in synchronous balance. The clarity of the production, and the combination of musical sophistication and raw rock power, recall an era when pop was epic in ambition and full of references to the classic pop canon. There are many highlights on the record including Rosey, with its reggae-inspired guitar riff, soulful vocal melodies and beautiful violin solo, and Red Hands with a massive drum sound, slap bass, crystalline keyboards and fluid guitar. 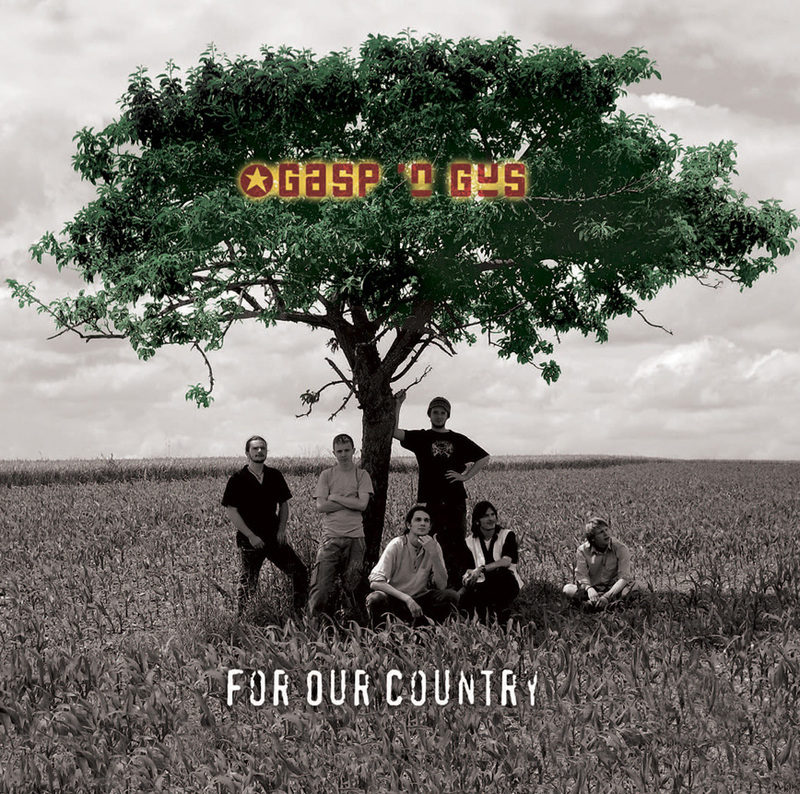 Check out Gasp’n gus at MySpace and get the album. Gasp’n gus are Greg Harrison, Maxime Faisant, Antoine Basile, Julian Urtebize, Vincent Faisant and Mikael Marquet. Asylum is serious about bringing to the attention of its audiences some of the best bands from outside of Jersey. Superior rock acts from Guernsey and the UK have graced the stage at Live Lounge and impressed all lucky enough to have seen them in recent months and now we are proud to announce a forthcoming show by the rock band Gasp’n gus who hail from Dinan in Brittany, France. 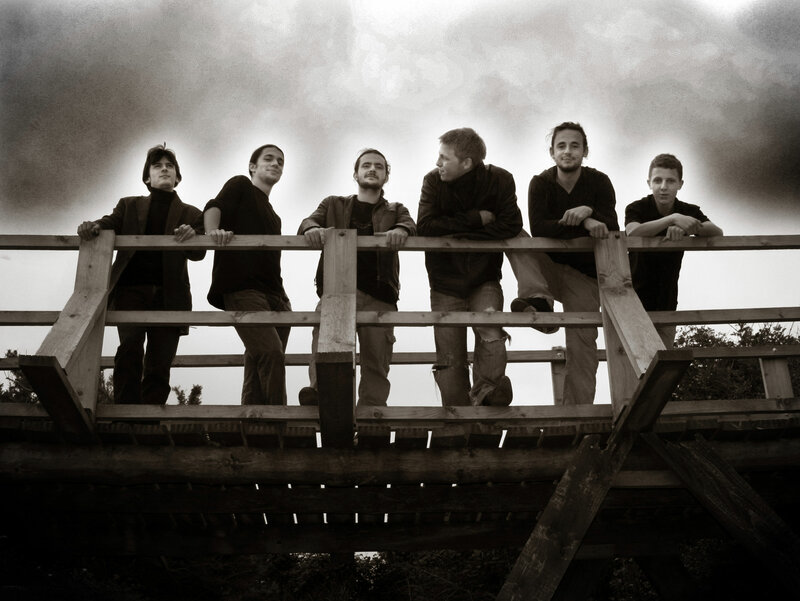 Gasp’n gus are Greg (vocals), Mikael (guitar), Maxime (guitar), Vince (drums), Antoine (bass) and Julien (keyboard). Their songs, sung in English by Greg with a richly soulful rock voice evoking Eddie Vedder in his mellower moments and Tom Waits in his gruffer, more agonised stylings, are delicately ornamented, classic pieces. The lyrics are romantic, impassioned poetry. Surrounding Greg’s virtuoso vocal performances is a bed of lush instrumentation which is subtly, spaciously arranged and always fascinating. There are sections of beautiful guitar soloing, keyboard parts, funky bass and jazz-inspired drumming that together suggest a mythical heyday of world pop. The music of Gasp’n gus belongs in stadiums. They cite many influences including Jaco Pastorius, Bruce Springsteen, Joe Satriani, Miles Davis, Herbie Hancock, Dire Straits, Pink Floyd, Steve Gadd, Bruce Hornsby, Bon Jovi, Ryan Adams, Simple Minds, Karizma, Peter Gabriel and Maceo Parker. France, with its pop music having been more diversely multicultural than most British pop, is the natural place where this unique musical expression comes together. 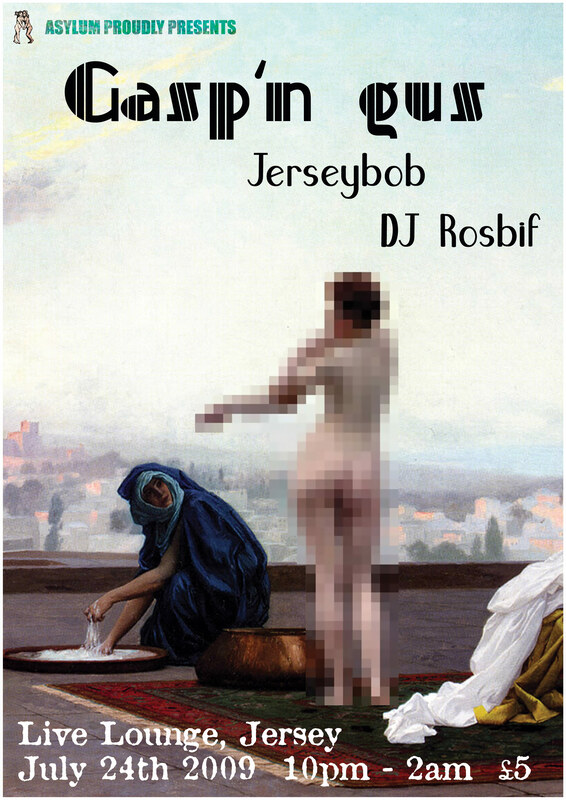 Support acts for the show are Jerseybob and DJ Rosbif. Bob has already been with us several times with his band The Freewheelers and on this occasion will be performing solo. His songs, played, and lived, in the tradition of timeless troubadourianism, are joyous, heartfelt tributes to life, love and a quest for spiritual enrichment. DJ Rosbif will be playing a set of exoticism and danceability in equal measures.